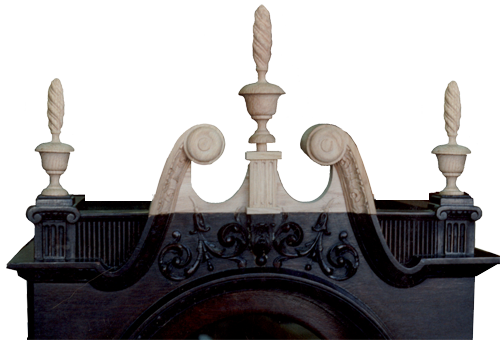 The carving and turnings of this 19th century grandfather clock were reproduced after researching similar contemporary examples. The leg of this chair had been chewed by a dog. 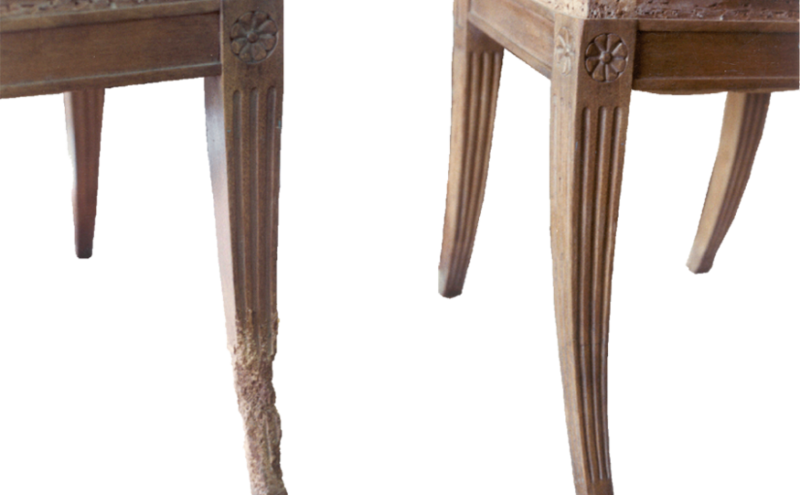 The photo on the right shows the same chair after its restoration. 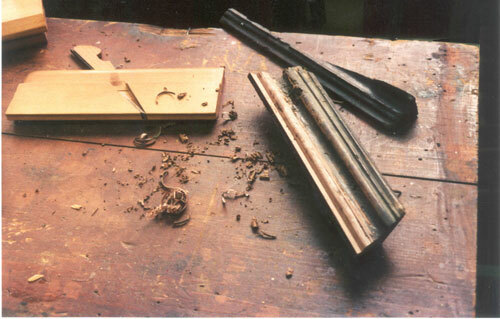 Handmade moldings are reproduced with traditional tools and methods.